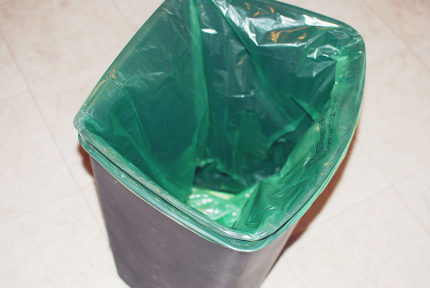 A personal goal for my family is to eventually have a “dry” garbage can that requires no liner or bag. You see the greenest way to address the plastic garbage bag issue is not to use one. Ideally we would compost all our wet stuff and only put dry stuff in the unlined can. 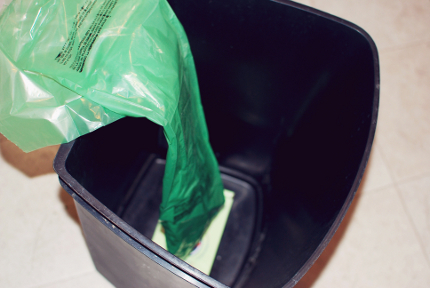 Anyway, we have been using BagUps for our biodegradable trash bags recently. 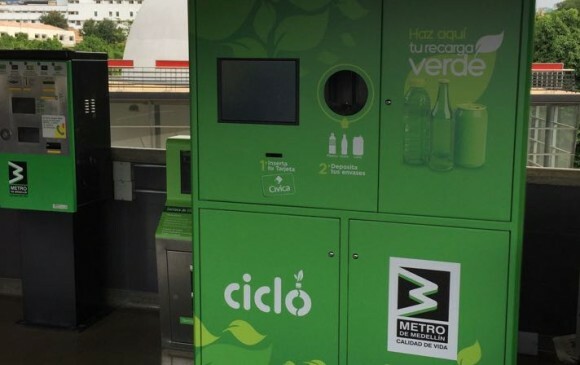 It is a trash bag system that makes the whole process just a bit easier and lot more planet friendly. I have heard arguments for why bio bags are not that much better than regular plastic since landfills are not conducive to the composting requirements of bio bags but if you have to choose between one or the other I will choose the one most likely to biodegrade. Until we can do a completely dry can, this is the best option. BagUps uses biodegraable bags and a 100% recyclable box. The box sits at the bottom of the trash can and the bags stay attached to it. When you pull out the bag you just pull at the perforated line and detach it. Then the new bag can just be pulled up and over the can, easy peasy. The key to making this work though is not to overfill the bag though, which could mean more bag usage unless you are motivated to just try to make less garbage, I opted for the latter. They are made in the USA by veterans and people with disabilities so that is another bonus. BagUps biodegrade over 2 years, as opposed to the industry standard 2,000. Never having to reach down into the can since the next bag is always attached. On the downside they are pricier than regular bags. I am not sure why everything green has to immediately cost more. They are also see through, which is probably due to their “green-ness” but since we put our trash on the curb I kinda cringe at everyone seeing everything we have in there, LOL. Not a big deal though. We have only ever tried one other green garbage bag and we prefer these I think. The others used to rip all the time. if you care to learn more they have a Facebook and Twitter account too. What does your rubbish can set up look like? Maybe I can learn a trick or two!